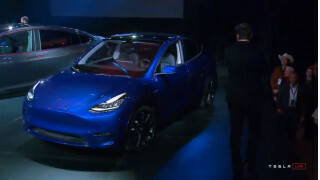 Tesla CEO Elon Musk prefaced his introduction of the company’s more affordable upcoming electric SUV, the Model Y, Thursday night, by noting how hard achieving at-scale mass production of Model X has been—and what a difficult year 2018 had been for him and Tesla. “It was pretty tight; it was a hard one,” said Musk. “2018 probably felt like aging five years in one, honestly it was really intense,” said Musk, thanking the supporters in attendance. 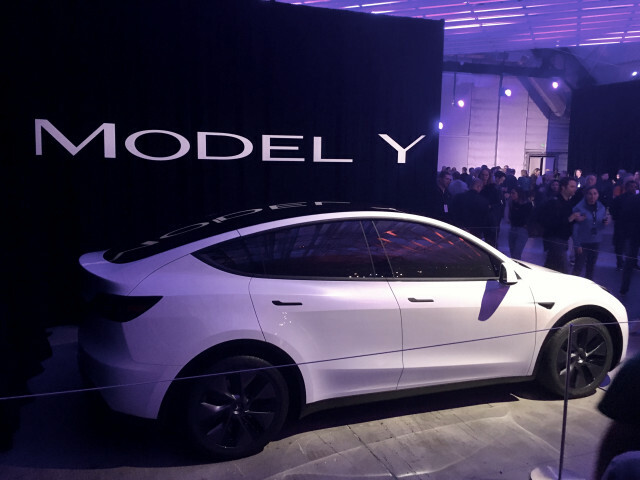 It wouldn’t be surprising if Musk is relieved today that the Model Y, which was once a quite separate, more ambitious project, ended up riffing off the Model 3 so closely. 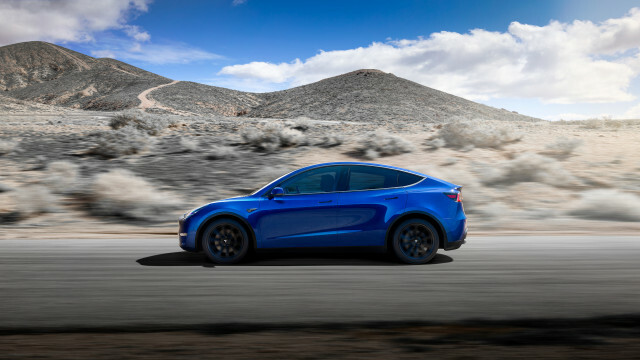 At one point, the Model Y was going to be a very different kind of vehicle—perhaps even one with a revised version of the Model X’s “falcon wing” doors. But in 2017, Musk revealed the project had been revamped for “maximum carryover” with Model 3, and that that Tesla’s executive team had brought him “back from the cliffs of insanity”—in what we’re assuming to mean some of those details. And so the Model Y is here, in very-close-to-production form. 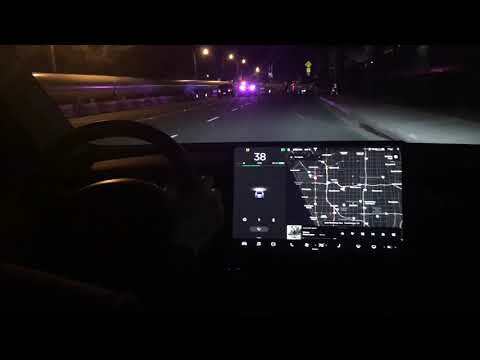 As we saw the car up close (albeit in the dark) and got a short ride-along, we were told that most details are locked in place. With Tesla’s online configurator, you can actually build and order a Long Range Model Y already, in fact. Flared fenders, wider look. 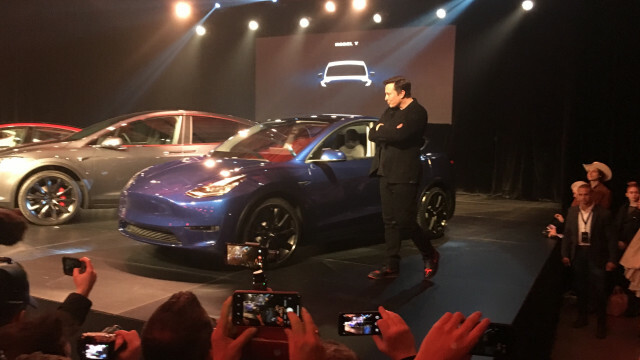 The Model Y doesn’t just look taller than the Model 3; it looks somewhat more butch. And the reason for that is the flared fenders. We suspect the track is slightly wider, to help balance out the look, but it could also be due to the somewhat different contouring of the front and rear fenders. Different rear doors. With a Model 3 adjacent, we noticed that the cutline for the rear doors is entirely different than in the Model 3—larger at the beltline of the vehicle, which should make entry and exit just a little bit easier in the Model Y. Same seats as Model 3, stepped up. The front seats looked and felt much like those in the Model 3. And according to our driver, they actually are Model 3 seats—just mounted on risers, to give them the slightly higher hip point of a crossover. Great vantage point. 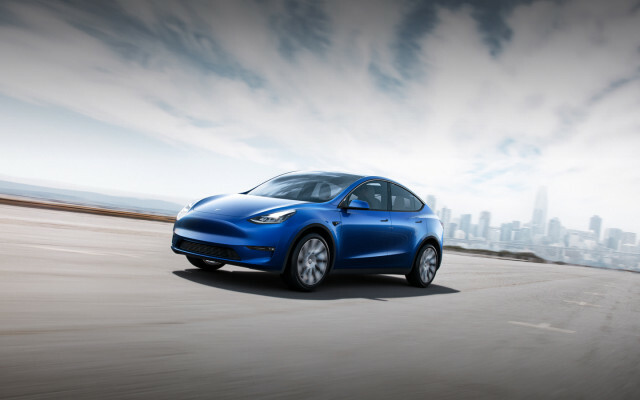 We already find the forward visibility in the Model 3 excellent, due to its hood line that seems lower than all but a few mid- or rear-engine exotic cars like McLarens or Porsches. 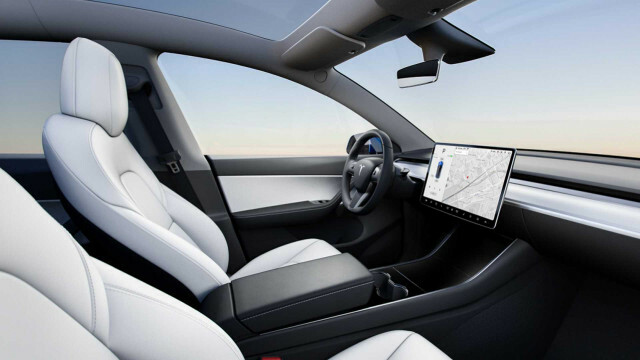 At the higher level of the front seats, and the possibly steeper slope of the hood, it’s likely going to be even better in the Model Y. The third-row seats are very small. 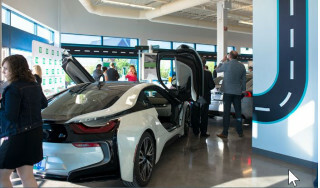 Because they’re forward-facing, they look like they may be considerably harder to get into—even though the second-row seat has three segments that, we would assume, provide the access back there. It’s a $3,000 option that you might be better off skipping. Skipping the off-road track? Ground clearance didn’t look much different if at all than the Model 3 Tesla had nearby. Likewise, we didn’t see signs of any added underbody guards, and there’s none of the rugged or faux-rugged cladding that’s otherwise de rigueur in crossovers.